The great majority of Americans have access to a Bible. Most have more than one copy of the Scripture in their home. However, it seems that more and more people in this country have little idea of how to apply the Word of God to their lives. First, you need to repent. You can’t continue to live an immoral lifestyle and somehow be blessed by the Word of God. It doesn’t happen that way. Determine to turn away from sin as you turn to the Bible. Second, accept the Word. Believe it. Don’t try to rationalize it away. Don’t argue with God. God is always right, and those who disagree with him are always wrong. Finally, don’t be content to just read the Bible. Do what it says. Many people read the Scripture or listen to lessons and sermons on a regular basis, and yet it has little or no impact on their lives. They close up their Bible and continue living the same way they did before God spoke to them. 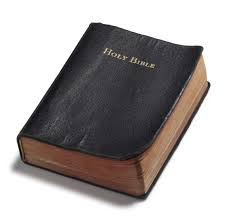 In order for the Bible to have an impact on your life, you have to do what it says. What will you do today based on what you have read in the Bible? This entry was posted in Christian Living and tagged belief, Bible, Bible study, faith, James 1:21-22, obey God, repentance, Scripture, sermon outline. Bookmark the permalink.